Last year (fiscal 2018) the “official” budget deficit was $779 billion. The national debt went up $1.2 trillion. The “small” $421-billion difference was more than half the official budget deficit. Every recession prediction is eventually correct; some just get the timing wrong. That’s because, so long as we have a business cycle, a recession is always coming. The only question is when it will strike. I recently argued Jerome Powell did the right thing by raising rates a mere 25 basis points. Now, let me tell you where he and the current Fed leaders are royally making a mess. This is critically important. Many of us don’t fully grasp how important Europe is to the US and global economy. Public worker pension plans are massive promises. They don’t always show up on the state and local balance sheets correctly (or directly! ), but they have a similar effect. It’s time to address the elephant in the room: the high-yield bond market. 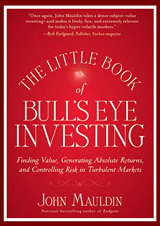 Description: “A forward-looking guide to the changes that will impact the investment environment…” In John Mauldin’s book, The Millennium Wave, Mauldin explains how we are entering a decade where change will come faster and be more profound than at any time in history, and gives investors the strategies necessary to profit from what he predicts will happen. Description: “How to Protect Your Savings From the Coming Crisis...” Written by the NYT-bestselling team of Endgame, John Mauldin and Jonathan Tepper's Code Red explains quantitative easing, zero interest rate policies, money printing, financial repression, rising inflation and currency wars in layman’s terms and offer insights to savers on how to protect their wealth. Description: “The definitive book on economic recessions.” John Mauldin's latest book, Endgame, details the Debt Supercycle and the sovereign debt crisis, and shows that, while there are no good choices, the worst choice would be to ignore the deleveraging resulting from the credit crisis. Description: In Just One Thing, author John Mauldin offers an incomparable shortcut to prosperity: the personal guidance of an outstanding group of recognized financial experts, each offering the single most useful piece of advice garnered from years of investing. Conversational rather than technical in tone, each contributor’s personal principle for success is illustrated with entertaining and illuminating real-life stories. 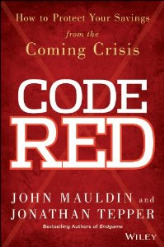 Description: Free Weekly Newsletter: Follow Mauldin as he uncovers the truth behind, and beyond, the financial headlines. Thoughts from the Frontline explores developments overlooked by mainstream news and analyzes challenges and opportunities on the horizon. This in-depth weekly dispatch helps you understand what’s happening in the economy and navigate the markets with confidence. Description: Free Weekly Newsletter: In our interconnected world—with its accelerating rate of change—flexibility and an open mind are vital to investment success. Each week, Mauldin highlights a thoughtful, provocative essay from a fellow analyst or economic expert. Some will inspire you. Some will make you uncomfortable. All will challenge you to think outside the box. Description: Free Weekly Newsletter: Grant Williams is a history buff, deep thinker, and analyst of economic and world affairs, and his insights range from eye-opening to mind-boggling. Regular readers of Outside the Box are already familiar with his unique observations that come from 26 years of financial experience in the Asian, Australian, European and US markets. Grant has held positions with several international investment houses and currently serves as portfolio and strategy advisor at Vulpes Investment Management in Singapore.